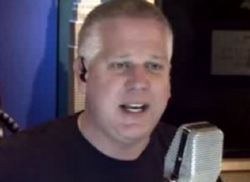 Glenn Beck’s radio show is set to be dropped from four small Connecticut stations, it was reported. Buckley Radio, a chain which runs 17 stations around the country, told Radio Ink magazine and Media Matters that it will cease airing Beck’s show, which airs on four of its five stations in the state, beginning April 4. In an email to Media Matters, Grahame Winters, the chain’s program director for Connecticut, said the move was solely due to the desire to add more local programming to the stations. This is at least the second batch of stations to drop Beck in the last few months. New York station WOR pulled his show in January, citing poor ratings. Even so, Beck remains the third-biggest radio talk show host in the country, and, according to a source, 88 stations picked up his show in the past year. He will also continue to air on a Buckley station in California.